Office Friendly make Suit-able donations. 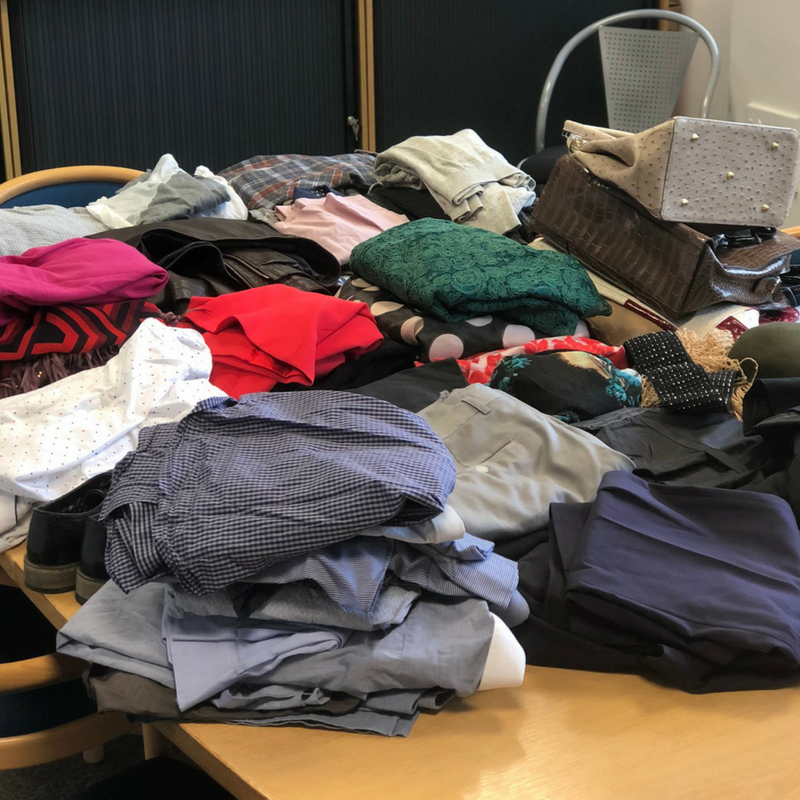 As part of an ongoing CSR programme with South Yorkshire Community Fund, Office Friendly has donated over 100 pieces of clothing to two local charities. Collecting everything from ties to handbags, the Office Friendly team organised a clothing drive throughout May 2018 with the aim to raise awareness for several worthy causes, and support those in need of clothing. The first donation, six large bags of casual clothes and accessories for all genders delivered to Sheena Amos Youth Trust (SAYiT) in time for their “Trans-A-Wear” event. On 19th May, the trust offered a free clothes swap event for trans, non-binary, and gender non confirming people in the Sheffield area. “Trans-A-Wear” is a supportive event for Trans* young people up to the age of 25 and saw clothes being given to those who may not have the opportunity or the means to buy the clothes that match their gender, as well as make-up tutorials, hair styling and a nail bar. SAYiT have been running in Sheffield since 1999 and provide support and social opportunities for young people who are lesbian, gay, bisexual and transgender (LGBT+) or who are affected by HIV. For more information about the projects they run or how you could support them directly, head to www.sayouthtrust.org.uk. A second donation of men’s business attire went to The Suit Works, based in Kelham Island. 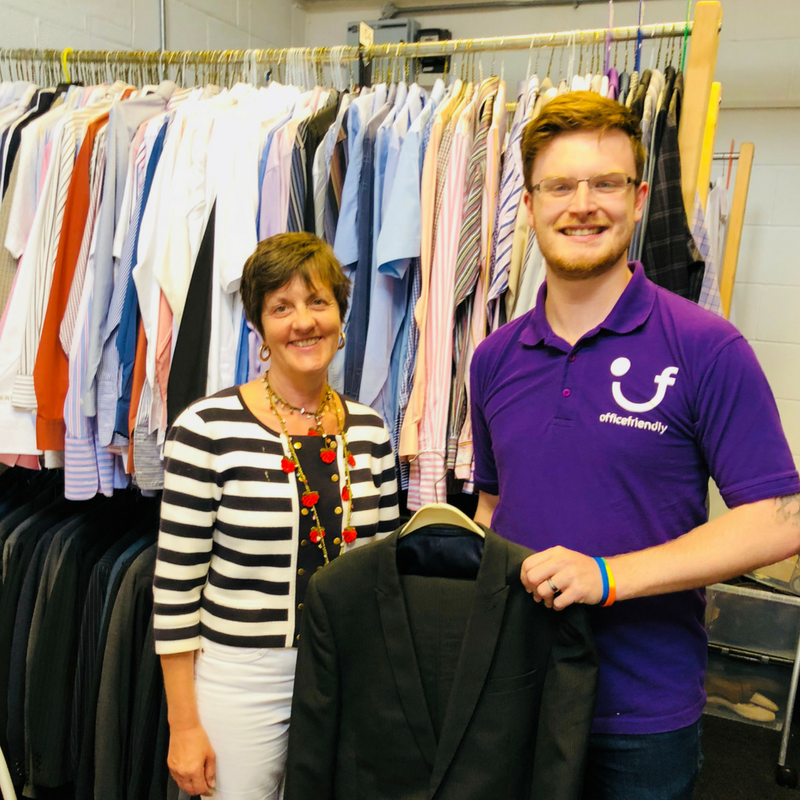 From ties in bright colours, to a double breasted waistcoat, over 45 garments were given to benefit men in Sheffield preparing for job interviews. 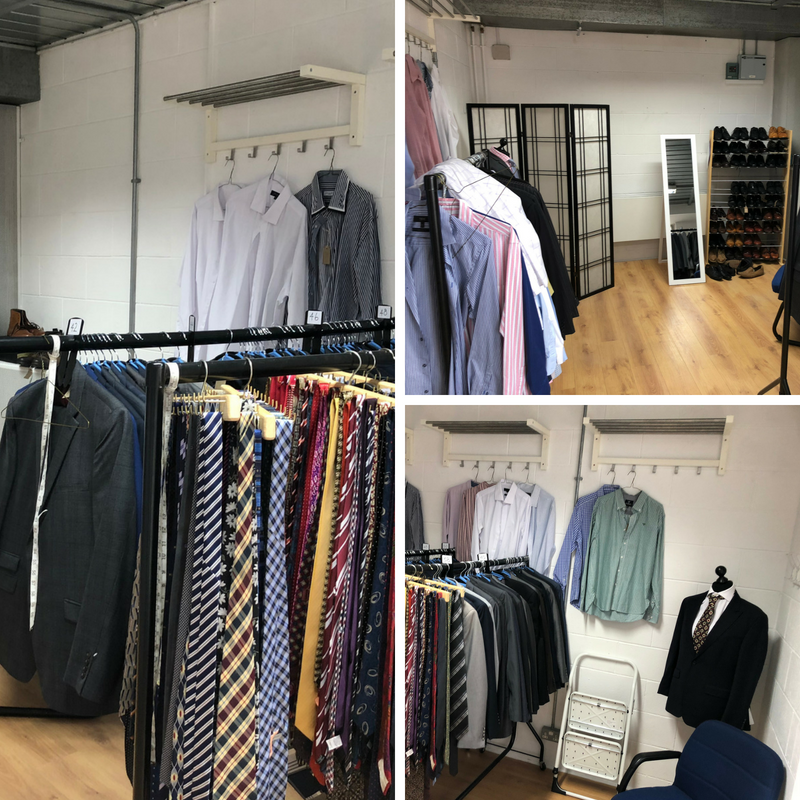 The Suit Works help and support unemployed men of all ages who are trying to get into work by giving them a styling session, suit, shirt, tie and shoes or smart casual clothing. This benefits those who have the offer of a job interview and do not have, or are unable to afford to buy suitable clothing. Vanda Kewley, Director of The Suit Works, shows Michael Hudson, Office Friendly Learning Platform Manager, around the inventory of business attire. On receiving the clothes, Director of The Suit Works, Vanda Kewley said: “When you walk through that door, those first thirty seconds are crucial – your body language, what you are wearing, and your standard of personal grooming They all tell your story. The Suit Works holds clothing to fit men from size 30” chest to 54” and dedicate time to a proper fitting. 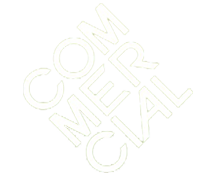 If you would like to support the community and charity work Office Friendly are doing, or find out more, take a look at the justgiving page for the Office Friendly Community Fund https://bit.ly/2sFHQYz or call the office on 0114 256 6294.